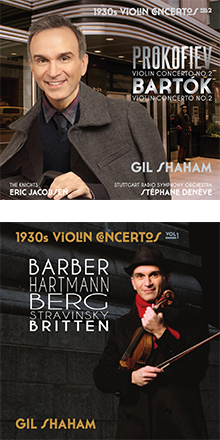 March 15, 2016, 10:42 PM · Gil Shaham's ongoing 1930s Violin Concertos project is a lot more than a series of performances of likable pieces -- as the artist himself might lead one to believe. It's nothing less than a revelatory journey through an astonishing time in music history. Perhaps due to the politics, displacement and despair of Depression-era, post-war, pre-war times, the 1930s also were a battleground for the soul of Western music. The works that Gil Shaham presents stand at the heart of that battle, in which composers sought both to cling to their disintegrating roots and to blow apart the traditions of the past, experimenting with the recently-invented 12-tone method, with atonality, and the rejection of Romanticism. These were messy times -- a lot like our own -- and the music is a reflection of that. Shaham resists putting his enormous project into words; on more than one occasion he's said, with characteristic humor and humility, "Well, maybe it's just an excuse to play some of my favorite music!" But he speaks profoundly through the music itself and the lucidity of his expression. He's recorded a number of these works before -- his 1994 Barber recording; his recording of both Prokofiev concertos and solo sonata from 1996 and his Bartók Concerto No. 2 recording from 1999 with Pierre Boulez and the Chicago Symphony. It was hard for me to imagine how he could top those recordings, full of gorgeous tone and expression. But in these recent recordings, Shaham has found something beyond polish; they somehow have more humor, more subversiveness, more grit, maybe even more daring. Gil Shaham. Photo by Luke Ratray. And if all that still leaves room for words, historian Claire Delamarche wrote exceptional program notes for both albums -- an eye-opening mix of the personal, political, historical and musical. For example, I never knew that Sergei Prokofiev died the same day as Joseph Stalin, the man who kept his works blacklisted for much of his life. In fact, Shaham's newest album begins with Prokofiev -- that arresting violin solo at the start of the Second Violin Concerto. 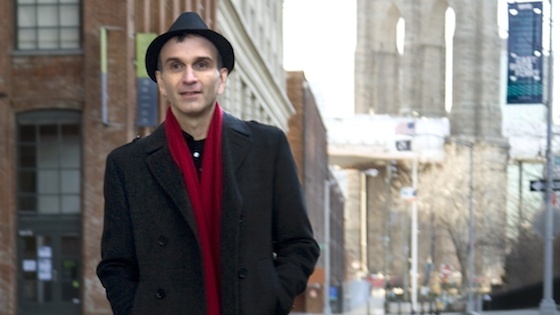 "The older I get, the more I appreciate this piece because it's just so masterfully written," Shaham told me, speaking over the phone in February. "I just did a tour with The Knights, and we played a new piece by Jonathan Leshnoff for some programs, and for other programs we did this Prokofiev and wow, it's just so amazing to play this. Every phrase is a surprise, and still the structure is so perfect and you wouldn't change one note if you could." Every phrase is a surprise, after playing it for 30 years? "You play that opening melody, and it's already a surprise, that the violin starts by itself," Shaham said. "You hear that diminished seventh (at the end of the phrase) and it's so dark, and the next note comes in the violas and basses, and suddenly you realize well, that E flat now sounds like a D sharp, and actually it's a major chord!" "Here you thought it was something very dark and spooky but it's actually beautiful and -- B major! and then the next note is D natural, and you think, oh, it is very dark, and they're playing very low... and there comes that melody again, and ... every note is like that!" Shaham said. "Every note is perfectly placed, and surprising at the same time. It's a miracle of a piece. Yes, 30 years later it's still a miracle of a piece, to play, to hear." Does the piece feel any different, after all that time? "You know, actually this is one piece that I feel very differently now than I did back when I first learned it, or even later," Shaham said. "We often think of Prokofiev as being very witty; some of his pieces have so much humor -- Peter and the Wolf and Lieutenant Kije. But nowadays when I look at this piece, I see some very dark moments. Maybe there's some sort of dark plot line to the story that it's telling." "...all this exuberant idyllicism? is that a word? is suddenly something very dark and sinister and mysterious," Shaham said. "It's almost like a cinematic set change; suddenly you see the set at night, or with a different lens on the camera. It's pianissimo, with these very short accents -- very spooky! These days I see those moments as being darker than I used to, when I first started playing it. And the ending of the piece, that kind of lopsided waltz, in 5-4..."
"...it's kind of a machinist figure in the violin, and the bass drum is relentless. It ends in G major, but there's a layer of somberness to the whole thing -- this machine is overrunning the Russian soul -- what does it mean?" "I remember hearing Isaac Stern talking about the Prokofiev Concerto. I was maybe 17 or 18," Shaham said. "I remember him saying, look, this passage is the Bayan, that's like a traditional Ukrainian accordion. It happens in a couple of places..."
"In the first movement, (No. 19) it's a melody note, then a double-stop note, melody note then a double-stop note, kind of like when you have an accordion and you open and close it, open and close it. 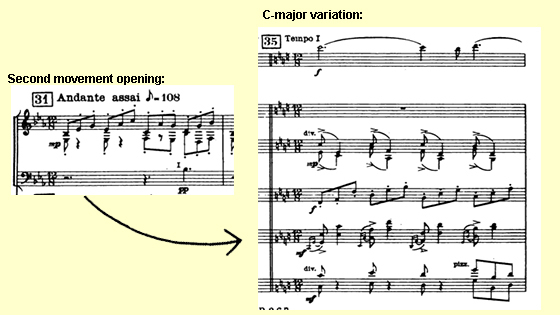 It also happens in the first movement, (he sings from No. 69) -- it goes with these hairpins, in and out, in and out. It's meant to imitate a kind of folky instrument," Shaham said. "So Stern said look, this is meant to be like a bayan, and at the time, I don't think I really understood what he was saying! But I think that he was right, and that's kind of crucial." "The Bartok has similar issues - Hungarian tradition and folklore, juxtaposed with modern composition techniques, sonorities, rhythms and harmonies," Shaham said of the second concerto, also on the recent recording. "There are passages where the orchestra's not meant to sound like a symphony orchestra, it's meant to sound like something else -- for example, like a cimbalom." At the very beginning of Bartok's Concerto No. 2, "those repeated chords in the harp are a little bit Beethoven Concerto, then the pizz's are a little bit Mendelssohn Concerto, and then the violin launches on this incredible melody. The melody is very 'verbunkos,' like a traditional Hungarian dance, in the style of a military recruiting march. Traditionally the soldiers would march into the village, and they would be playing these melodies, often on violins. Then they would march out all the able-bodied young men in the village." 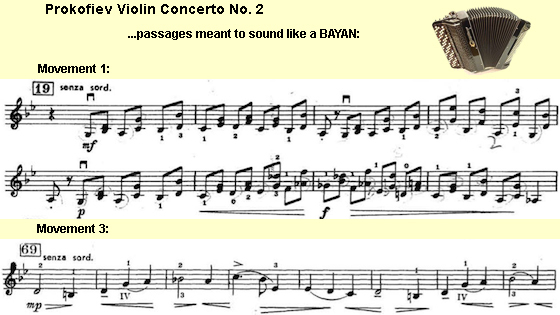 Bartok sneaks in a tone row, but he plays by his own rules rather than the rigid parameters of serialism. 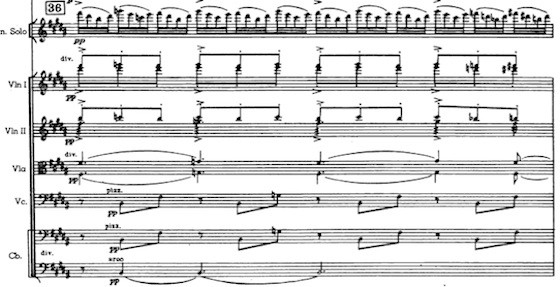 As Delamarche writes of the work's first movement, "the caustic Bartok here hijacks 12-tone serialism," puts it through its paces, then "the spell is broken by a typically Bartókian sardonic laugh..."
The issue of serialism in Bartok is something that Shaham spoke about with the late Yehudi Menuhin. "He was always very gracious, very kind to me. I remember him talking about the piece and he told me a couple of stories," Shaham said. "Certain passages in the first movement are 12-tone, and Bartok kind of put (Menuhin) on the spot and asked him, 'What do you think of this?' Menuhin said something like, 'Well it's very chromatic,' -- he didn't want to use the word '12-tone' or 'serialist' because he didn't want to say the wrong thing. Then Bartok said, 'Look, it is 12-tone, but you can see that 12-tone music can be melodic,' or '12-tone music can be beautiful,' -- something to that effect. Menuhin said he never quite knew if it was meant to be tongue-in-cheek, or serious; was Bartok being coy?" Menuhin actually worked on the piece with the composer and "he said that Bartok was unhappy with some performances of his pieces," Shaham said. "He said people would call his music 'modern music,' and then they would play it with a rough sound. Bartok didn't want that. He said he just wanted his melodies played the same way as you would play a melody by Beethoven. That has always stuck in my mind." Gil Shaham plays Prokofiev Violin Concerto No. 2 with the Paris Symphony (Orchestre de Paris), conducted by Dima Slobodeniouk.